After much blood, sweat and tears (mostly mine) I have finally managed to complete the write up of my Lands End to John O’Groats cycle ride from last October. After being knocked from my bike by an articulated lorry and being unable to finish a long trained for Audax Ride (London-Edinburgh-London) I was looking for a different challenge. With the news of the deaths of two end to enders on the A30 fresh in my mind I was hoping to find a safer route. Perhaps foolishly I was relying upon Google Cycle Routing to get it right: it was brand new and in beta testing but I had vowed to follow the route no matter what. the book has been published as a 218 page book at Amazon as a paperback and a Kindle. 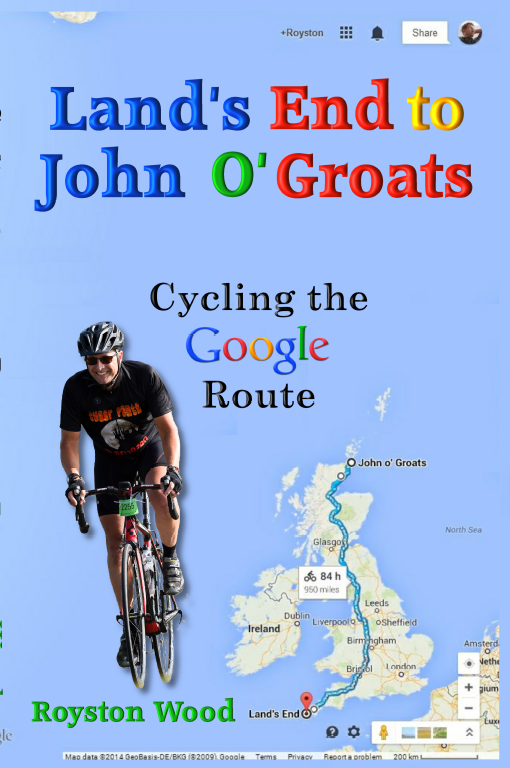 It is also available as a pdf download via my website www.landsend-to-johnogroats.co.uk.